Hello friends!! I introduced several offers like Big Billion Day, Sneak Peek Sale, etc. In this article, I am going to introduce a trick for free shipping in Snapdeal. As you know, Snapdeal introduces so many wide ranges of best products. As depending on the purchase, they take a charge for shipping. Then, how it will be when free? Yes!! Truly this can be done using a trick. This is also applicable for COD (Cash On Delivery). Again, Snapdeal has the wide range of best products which is the reason for 18 million members in it. ➊ Add an item on which there are shipping charges and a condition which says add things of the ___ amount. ➋ After the adding process, rush to the same category and add any item which fulfills the ___ amount. ➌ Now, proceed for the payment options. ➍ Take a definite payment option (Can also choose COD). ➎ After successful payment, go to 'My orders' section. ➏ Cancel the item which you added to fulfill the ___ amount. ➐ Here, you can see you have to only pay the first item charges with no shipping charges. We all order many products from Snapdeal with best discounts which attracts us very much. We can attain lovely products from Snapdeal. But we sometimes give shipping charges extra. Actually, it is of wasting money, right? Yes, it is!! So, this trick will definitely help you to save your money and also have your lovely products. Hi loyal blog readers!! 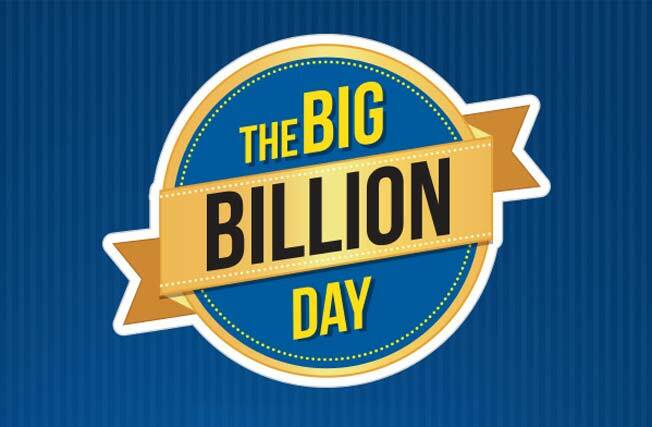 As you know, I already introduced Flipkart Big Billion Day from October 2-6. Behalf of this astonishing offer, Flipkart introduce one game named Sneak Peek Store from which you can win exciting offers. The Charming offer, right? Truly it is!! You can also grab your beloved offers from the big billion days through this Sneak Peek Store. It will be automatically confessed after every 10000 shares. In order to enjoy this charming offer, you have to share. So, follow the simple steps described below for grabbing your best offers from Sneak Peek Store during Flipkart big billion days. ➀ Download or update your Flipkart App from here. ➁ Install & open Flipkart App. 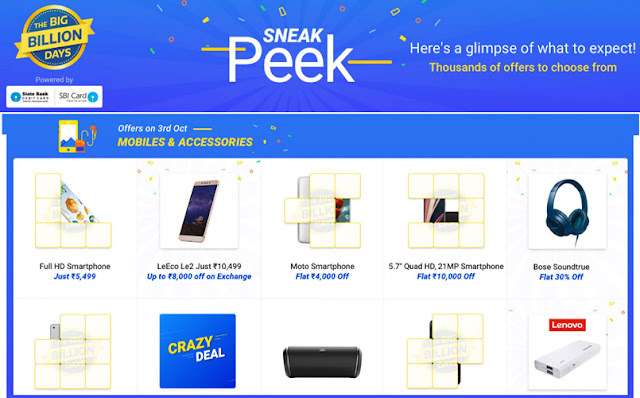 ➂ On the homepage, you can see Flipkart Sneak Peek Store banner. ➃ Click on this banner. ➄ It will redirect you to Flipkart Sneak Peek Store Game main page. ➅ Scroll down, at the bottom you can see a share option. ➆ Click on the share button. ➇ From there, you will get an invitation text and link. ➈ Share it with your friends. ➉ Now, the Sneak Peek Store Price will be automatically confessed after every 10000 shares. ✵ October 2 - Fashion, Home, TVs & Appliances. ✵ October 3 - Mobile & Accessories. ✵ October 4 - Electronics. ✵ October 5 - Not revealed. ✵ October 6 - Not revealed. Guys!! Wait for Flipkart Sneak Peek Sale. Just play the game and win exciting offers only for you. We discussed several airtel tricks, bsnl tricks, etc. Here, I am going describe Vodafone offer. Are you a Vodafone user? If the answer is yes, there is a good news for you. Now, you can avail 10GB 3G/4G data on the price of 1GB data. This exclusive offer is valid only for 4G handsets only. For the selected circles the additional 9GB can be used in between 12-6 am. Vodafone India launched a data offer for 4G handsets where you will get the 10GB 4G data on the price of 1GB data. Which means that for Vodafone a new 4G smartphone means one that was not used on the Vodafone network in the last 6 months. The mandatory thing to remember is that this amazing offer is valid on data packs of 1GB and larger. That is, costs Rs.250 and above with a validity of 28 days. Also, multiple offers cannot combine with existing. You can also access Vodafone play which is absolutely free. ➀ Keep the Vodafone SIM connected with your 4G device. ➁ Visit Vodafone handset offer page. ➂ Now, enter your Vodafone number & verify it via OTP. ➃ From here, you can access your offer & activate 1GB 4G data offer. ❏ Customers from Delhi, Mumbai, and Kolkata can enjoy additional 9GB 4G data by recharging with 1GB or larger packs in between 12-6 am. Additional data limited to 4G networks only. ❏ Customers from Uttar Pradesh (West), Uttar Pradesh (East), Haryana, Kerala, Gujarat, Karnataka, Tamil Nadu, West Bengal, Maharashtra & Goa, Rajasthan, North East states and Assam can enjoy additional 9GB 3G data by recharging with 1GB or larger packs in between 12-6 am. Vodafone customers now start chilling!! Have your free 9GB additional data absolutely free. Hi TechnoDrips readers!! Wanna earn money without investing even a penny?? Then try the all new Just Cash App. It gives a series of money by just inviting your beloved ones. You can earn from 5k to 15k per month. Excited?? You are!! So, just download Just Cash and have your earnings. them wisely to have your earnings for free without any pressure. 1. Download Just Cash App from here. 2. Open Just Cash & fill your details. 3. Enter any referral Id. 4. After it, click on 'Register' button. 5. Now, enter your mobile number. 6. Verify it via OTP & click on 'Submit'. 7. 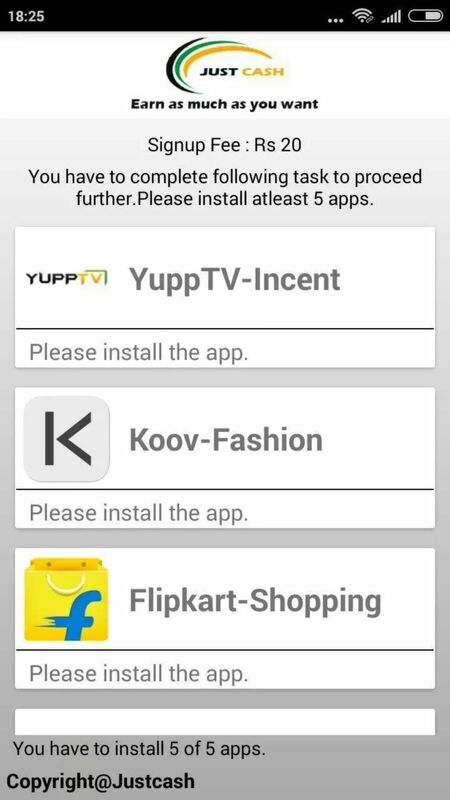 Now, complete the task by just downloading some apps. ✦ You can start earning if your friend signs up with your referral id or referral link & completes the tasks in Just Cash. ✦ After completing the tasks, each can have their own referral link. ✦ To have your referral code, click on the left top of the app & select 'Invite and Earn'. Really astonishing, right? Yes, it is!! You can earn unlimited money. No limits!! So, Just Cash is the latest app which is very much useful for you to earn. The mandatory thing to remember is the Just Cash is the latest app, which means users are very much limited. So, think wisely. Are you looking for a healthy body? Want to know about the healthy habits and exercises? 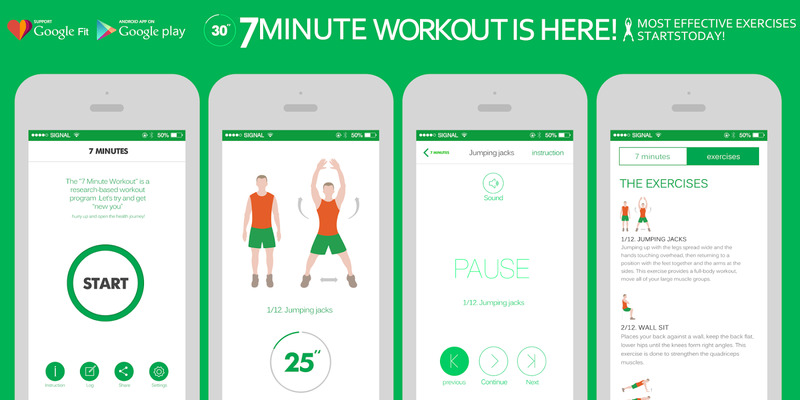 Definitely 7 Minute Workout app will let you for it. It is the No.1 app in over 19 countries and among the top 5 health apps in over 57 countries. Now, the new 7 Minute Workout App supports Google Fit too. There are about 3 million users for this fabulous app. It is scientifically proven to assist weight loss and improve cardiovascular function. If you want to lose weight, get a flat tummy and strengthen your abdominal muscles, try 7 Minute Workout. It also gives a video support too. Using it you can have your workouts with 100% accuracy. 7 Minute Workout is based on High-Intensity Circuit Training (HICT), proven to be the “safest, most effective, and most efficient” way to improve your muscular and aerobic fitness and make you healthier. 7 Minute Workout has been highlighted by New York Times as offering ❝Maximum results with minimum investment❞. ◉ Abs workout for women. ◉ Notification for daily workout. ◉ Keep the screen on when you workout. ◉ Beautiful character and UI design. ◉ Workout log shows your complete workout time. ◉ Ability to pause the workout, and skip to the next or the previous exercise. 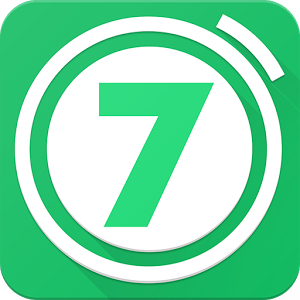 So, guys download 7 Minute Workout App and learn how to make your body fitter. Definitely 7 Minute Workout will help you to make your body more fit and accurate. Hi technodrips readers!! Today I introduce a unique simple app: Paysay App. Paysay App let you for sending and receiving money instantly. Using this nice app you don’t want to know the IFSC codes and other formalities for transferring. A single tap is required for sending or receiving. Isn’t it cool, right? Yes guys!! Really it is!! 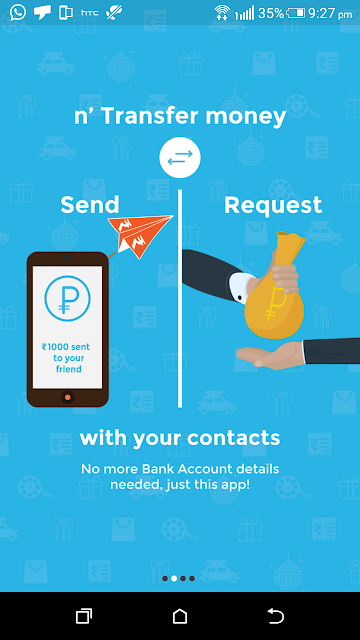 Paysay App is an Android app to avail instant send and request money directly from your bank account. Split expenses, pool money and do more for free. 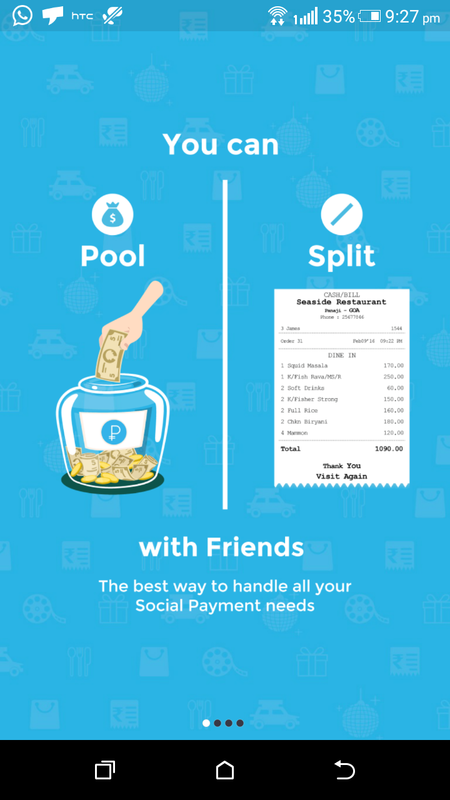 Also, using Paysay you can share your expenses with friends or family. For example, if we are buying a gift for our best friend and we want to collect money from others too. So, here Paysay App let you for collecting it. Hence, Paysay is your true social payments partner. ➀ DownloadPaysay App from here. ➁ Install Paysay & open it. Then, click on Sign Up tab. ➂ Now, Enter your name, mobile number, Email id & click on ‘I HAVE REFERRAL CODE’. ➄ Verify your mobile number via OTP. ➅ Verify your Email too. ➆ Thus, account created. You can see 150 points credited (150 points=Rs.30) into your wallet. ➇ For recharging, you need to have only 2 refers. That is when points reach up to 250 minima. You can use 50% points for recharging. ➊ Click on ‘MORE’ tab. ➋ Now, you can see ‘REFER & EARN’ option there. Click there. ➌ Thus, you can avail your referral code. ➍ Now, share your referral link to your friends & family. They reward 50 points per referral. (1) Click on ‘START’ button. (2) Click on the option ‘PAY BILLS’. (3) Now, choose your carrier & enter the mobile number to recharge. Using Paysay app you can perform chatting to. That is, chat in-built. So, chat with your loved ones for sharing expenses. 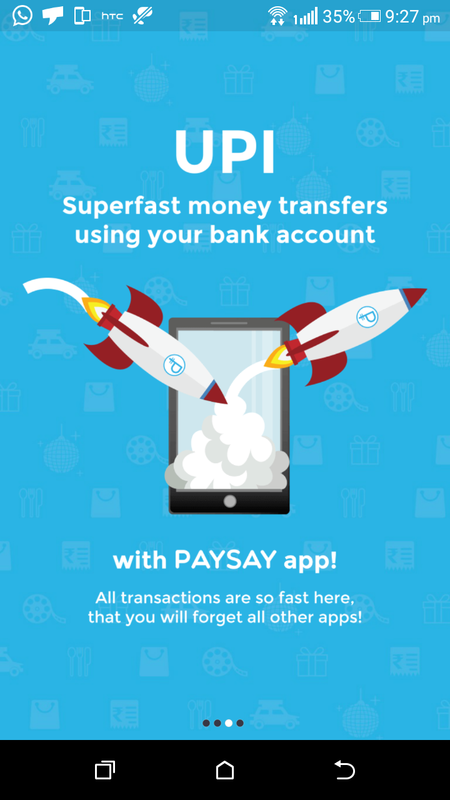 Paysay is loaded with Unified Payments Interface (UPI). UPI helps for instant money transfer to any accounts without knowing IFSC codes. Collecting reward points helps you for recharging your prepaid, postpaid mobile & DTH recharge. So, don’t wait for guys. Download it instantly and have your free points. Hi friends!! Are you loving KitKat chocolate? Most of among ate it because of its uniqueness and taste. So, today I introduce a nice offer on KitKat. 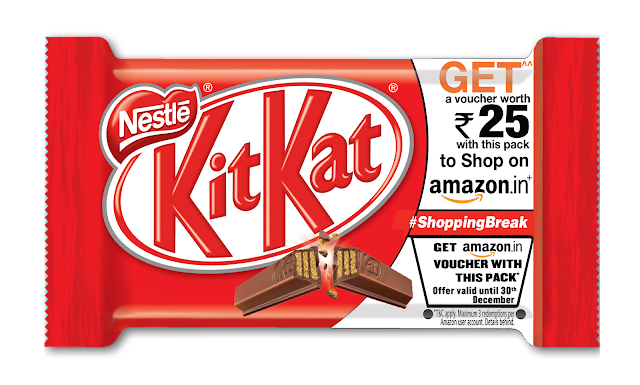 It is a new exclusive offer that Nestle and Amazon India proudly presents. 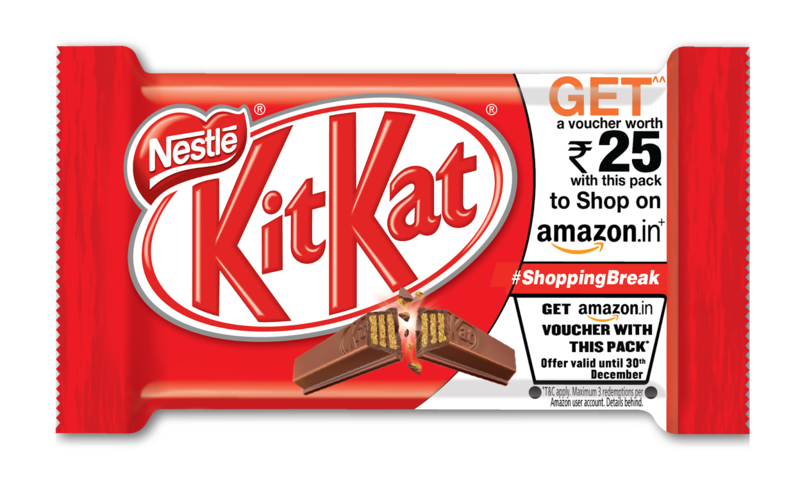 When you buy a KitKat worth Rs.20 and Rs.25 you can avail an Amazon gift voucher of the equivalent amount. One mandatory thing to be noticed that, this offer is applicable only for the packs which have the promotion communication on the pack and cannot applicable for the stocks which are non-promotional. Actually, you can add up to 3 gift card codes per account. Or else, for Rs.20 or Rs.25 or a combination of both. Also, remember that you can only able to add 3 codes of each denomination. ✯ For offer Source click here. ✯ For FAQs click here. ➁ Now, you will get a scratch card containing a 17 character code along with your tasty KitKat. ➂ Then log on to Amazon.in/addgiftvoucher and enter your code. ✯ Mandatory: Enter the code that you see once your erase the scratch under the heading 'Voucher code'. ➃ Thus your amount (Rs.20) will be credited. ➄ This offer can be successfully done for 3 times. Guys!! So, don't wait!! Avail this amazing offer instantly. Have fun with your favourite chocolate. Idea customers are active now!! I know. Now enjoy free idea 4G data absolutely free for 10 days. Can you believe it? Yes or no, you should believe. Experience the superfast speed of internet: Idea 4G. Upgrade your SIM to 4G and get free Idea 4G 1GB data for 10 days. 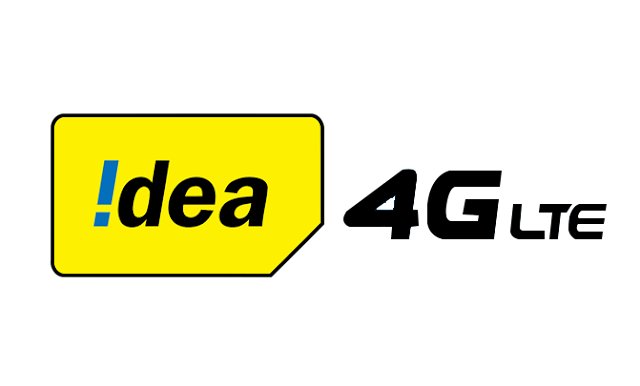 Idea 4G service is available in selected cities in India. So, the offer is valid only for those cities where Idea 4G is working. Now, here comes a fantastic offer to experience Idea 4G. So guys, don’t wait!! Grab it fast!! ➀ Visit Deal page from here. ➁ Scroll down to see offer “Ready to push your internet experience to the 4th gear”. ➂ Enter your mobile number (Idea) & verify it via OTP. ➃ Enter your details & submit it. ➄ Now, you can see a message: “Dear customer, we have received your request of 4G SIM delivery via request. Your new sim will dispatch in 22 hrs 0 min”. 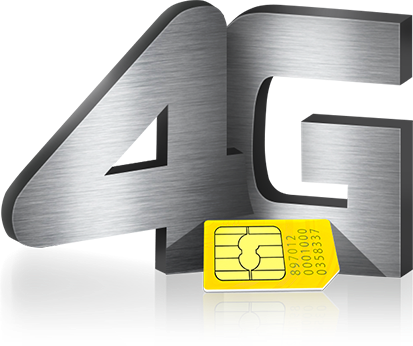 ➅ After you get the 4G SIM, write GO4G and send SMS to 12345. ➆ Hence, free 1GB data will be activated in 48 hours. ✵ Offer is applicable only on Idea 4G network. ✵ SIM upgrade offer is valid only once per SIM. ✵ SIM upgrades offer provided free 1GB 4G data with a validity of 10 days from the date of activation of the offer. ✵ Customer should send GO4G SMS to 12345 within 5 days of SIM up gradation. ✵ Processed within 48 hours. ✵ Customer should acquire a 4G handset (Band 3 – 1800 MHz) to avail this exclusive offer. Now start experiencing the lightning speed of Idea 4G network of 1GB absolutely free with this charming offer. Enjoy guys and stay tuned!! Hi readers!! Today I introduce the all new app, that is Grappr App where you can earn unlimited free talk time absolutely free of cost. For achieving it, you just want to follow some steps. They are app downloading and referring. So, now the recharging become fun. 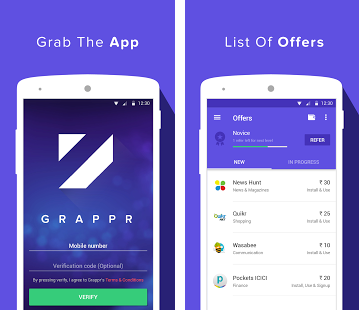 ➊ Download & Install Grappr App from here. ➋ Open Grappr App & verify your mobile number. ➌ After this process, it will redirect to the offers list. 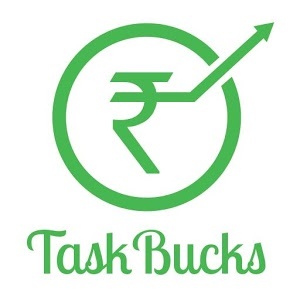 ➍ From here, complete each task and earn free recharge instantly. 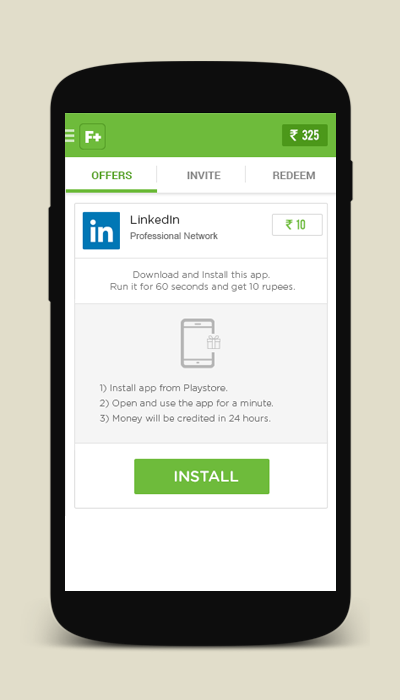 ➎ You can avail Rs.20 - Rs.25 per completed offer (offers better amount comparing other free recharging apps). ➏ After these steps, the amount will be credited to your wallet. 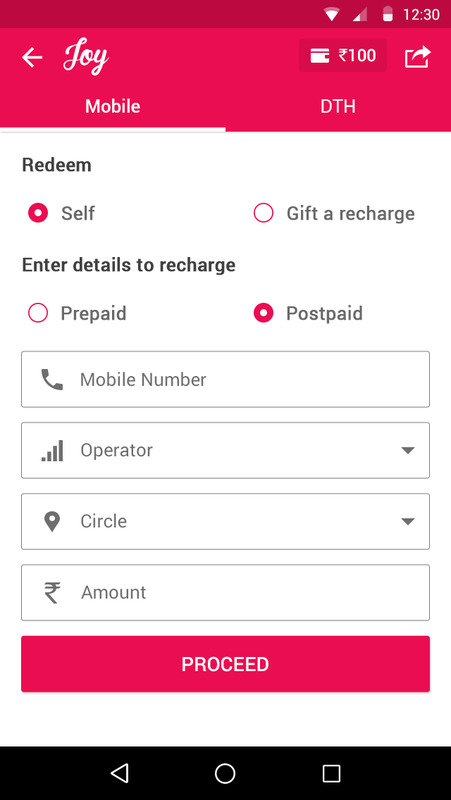 ➐ You can perform recharging when you earn a minimum of Rs.10 (for recharging, click on 'Wallet' icon on the right upper side). ➑ Choose your operator & circle of the operator. Airtel, Loop, Vodafone, Virgin mobile, Aircel, Idea, BSNL, TATA Docomo and Reliance. 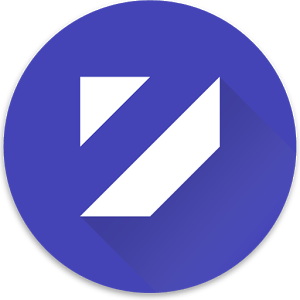 Follows Google material design standards which work very well on all Android devices. Have various referral levels (based on the level of task you complete), which will accelerate your wallet balance like anything. Easy allowance for redeeming the complexity of offers by adding redeeming money in the wallet at the point of offer completion. For user based on their location, behavior and geolocation. So, Grappr App gives you a better referral program comparing other free recharge apps. Also, it gives more than Rs.20 per referral, which is a better amount. So, from Grappr App reward yourself and determine highest paying offers. Happy earnings!! Cafe Coffee Day is well known among us. It is an Indian Cafe chain for young and young at heart. Cafe Coffee Day is controlled by Coffee Day Global Limited. In this coffee shop, we can have not only a delicious coffee but also snacks, beverages and much more. So, they introduce their app now to have their customers always with them closely. From Cafe Coffee App, you can earn too. 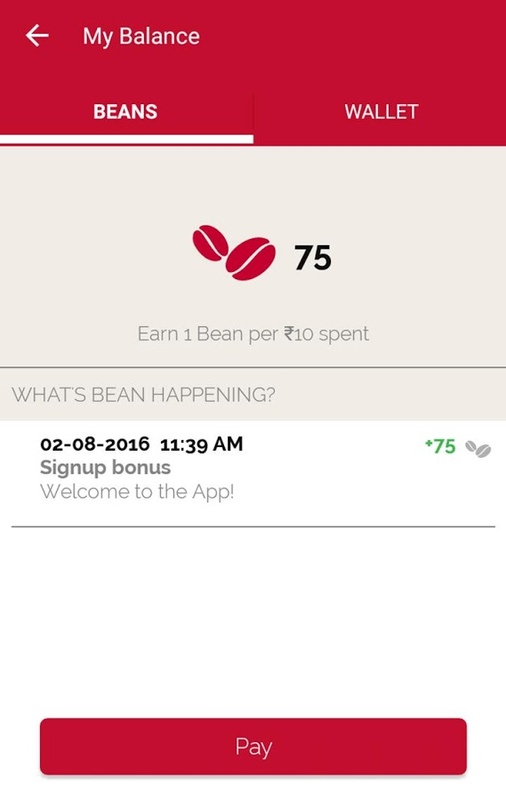 In this app, your earnings are stored as 'Beans' (1 Bean=1 Rupee). So, downloading their app you can earn Rs.75 as sign up bonus and Rs.50 per referral. 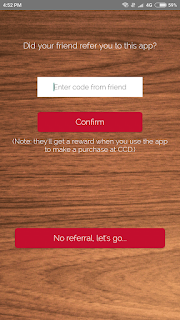 ➊ Download Cafe Coffee Day App from here. ➌ Finish the sign-up procedure. ➍ Then, enter the mobile number and verify via OTP. ➎ Use any referral code to gain 75 beans (sign up bonus) or else can start with 0 beans (no sign-up bonus). ▼ Navigate to Menu & click on Refer option. ▼ Here you can have your referral code. ▼ Share it (50 beans for each referral). ▼ Each download will get 50 beans extra. ▼ No any limit for referring. ▼ Earn extra beans when you pay using Lime wallet. 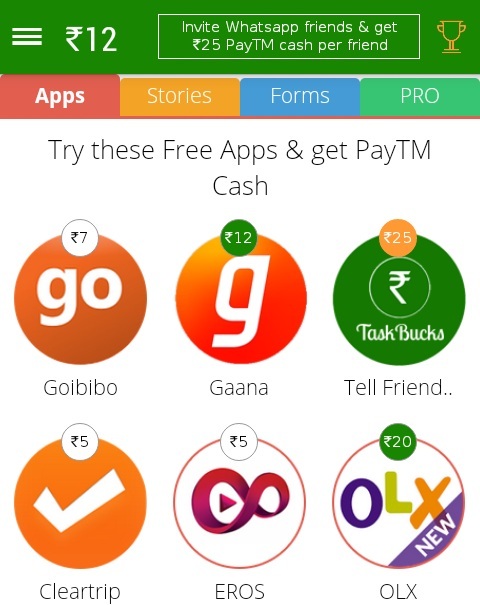 You can also avail free cashback offers using this app. Just be part of them. After availing the beans, you can redeem it from any outlets of CCD. Earn extra beans when you pay using Lime wallet. Beans are earned on the base price of the item after discount and before tax. For using the beans just go to my balance and tick mark on 'Pay with Beans'. Here appears a barcode which can be shown in CCD outlets. You can get your discount worth that beans. Also, you will get 1 Bean for every Rs.10 you spend on food. Now, have your favourite food and earn with Cafe Coffee Day App. Happy fooding!! Hi friends!! 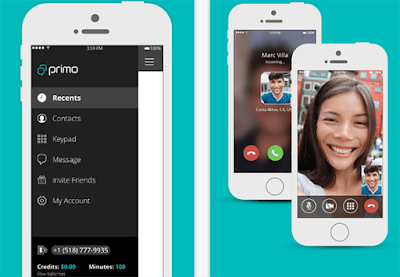 Primo App let you to call for free to your loved ones. You can call to any landline or mobile number. Also, it gives SMS, video calling and much more features too. 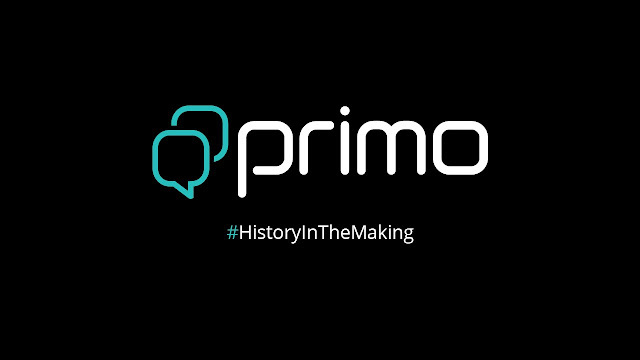 Primo App connects each from more than 30 countries. Actually, your data (wifi or mobile) is used for free calling. You may find yourself in one of the 65 countries that offer Primo's voice network. In the areas, you can call even when not connected. Primo App is also a best and advanced messaging app too. Also, Primo provides free landline calls over 30+ destinations. You can also purchase low per minute rates to reach over 200 destinations. So, what are you waiting for? Download Primo app now and enjoy those features as your own. ❃ Instant & unlimited messaging. ❃ Share anything to anyone. ❃ Unlimited free Primo calls. So, using your data you can stay connected with your friends and family located anywhere. Your Primo account includes a free US phone number to receive inbound calls and texts from anyone, anywhere. Primo also introduces the attractive referral program. Through it you can avail free referral minutes that never expire. Dashlane Password Manager App is the awarded Google Play accolade including some special exciting features. Dashlane's Password Manager and digital wallet offer the best password security and make it simple to log in to apps and websites. Using this fabulous app you can access secure password vault at home, at work, at college, or anywhere in between. Each and everyone among us will be using somany apps and websites. Some are protected very well. Also, it is manually done. Here the heroism of Dashlane Password Manager App begins. After installing this fantastic app, it saves all of them so you can easily copy and paste these into online forms when necessary. Actually, it offers the security behind a strong master password. Behind it, the app saves the password, usernames, and secure notes. Also, it generates security passwords and even autofill passwords for apps and websites. Thus, you can keep your Digital wallet safe with cloud backup and unparallel encryption. ❒ Keep passwords for every website & app in one secure safe. ❒ Uses encryoted codes and regularly monitors them. ❒ Save password, security codes and more with secure notes. ❒ Generate unique, secure passwords for all of your accounts. ❒ Only one password to access all. ❒ Digital wallet which saves credit card wallet to secure digital vault & also back up your passport and ID details and carry them with you everywhere. ❒ Keep safe with leading AES-256 encryption which protects from hacking. 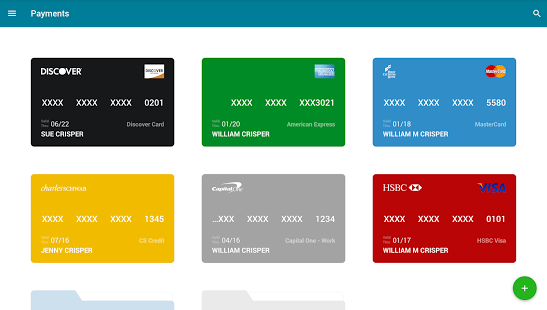 Dashlane Premium gives you instant and ultimate password security. It gives a secure cloud backup of your passwords. 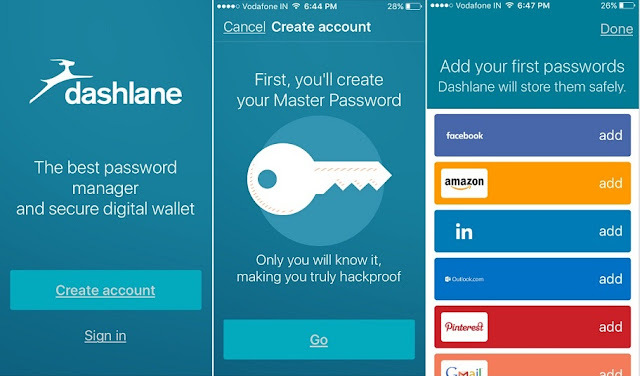 Dashlane is the award winning android password manager. It inlcudes featured productivity app, editor's choice, top developer and best apps. So, Dashlane gives you an instant sync across all of your devices to keep passwords always up to date. So, what are you waiting for? Install Dashlane and keep in protected. Also, using it you can track your spending too. Hi, Technodrips readers. Today I introduce a very exciting app: True Balance App. It gives hassle free all-balance-check app with awesome free recharge features. True Balance App gives you the one-touch solution to manage your prepaid mobile balances. 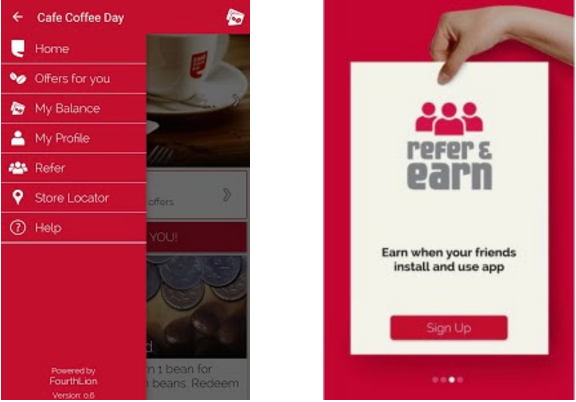 Also, True Balance App gives an exciting offer of "Refer & Earn" from which you can earn per referral. 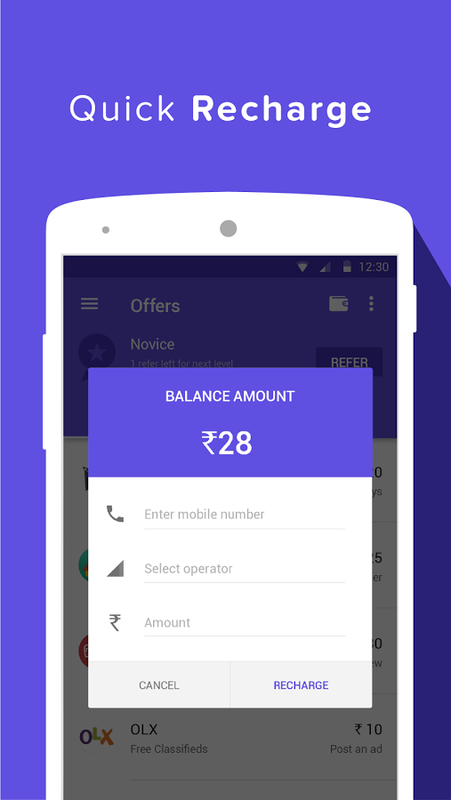 True Balance App also supports recharge, inviting friends, earn points and buy new packs. In order to earn more just follow the procedures below. (1) Download True Balance App from here. (2) Open it & enter True Balance Referral Code to get Rs.10 sign up bonus. (3) Use any invitation link. (4) After downloading & opening, turn ON True Balance to show your balance & data usage. 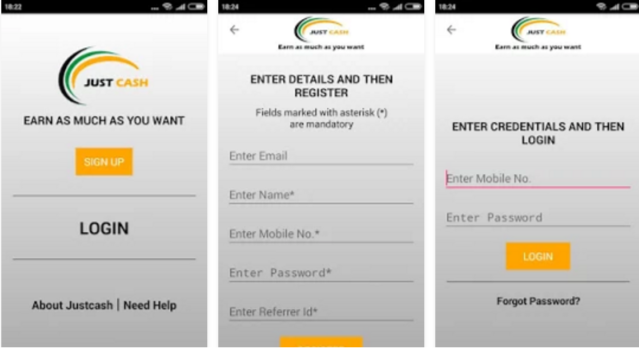 (5) Register your account, mobile number & password. 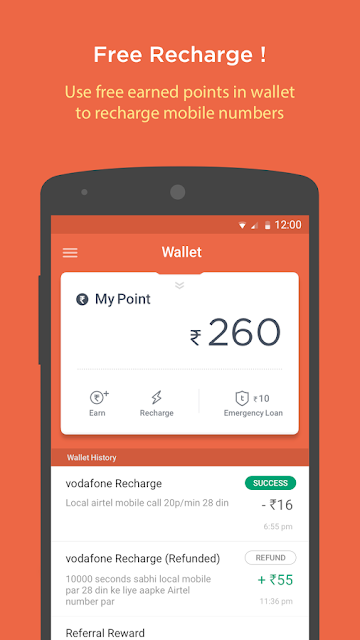 (6) After verification, you will get Rs.10 into your True Balance wallet. (7) Now, you can use your earnings from your True Balance wallet. ✦ Enjoy true balance in your own language. ✦ Valid only for prepaid customers. ✦ Enjoy the most accurate data balance. ✦ All payments options are available. ✦ You can check data pack as well as call rate cutter validity. ✦ Track apps stealing your MB in the backgrounds. ✦ PlayPull animal friends (for fun & free points). 1. Open True Balance App. 2. Go to Referral Earning Section. 3. Now, click on 'Earn'. 4. Click on offer section. 5. Now, you can see various types of apps listed. 6. Just download the apps from here and start earning extra. Through the True Balance App, you can earn not only via referring but also through downloading some special apps. In order to download and earn, follow the steps mentioned above. True Balance App gives points as rewards. With these points, users can top-up or recharge packages. For this, True Balance may collect your contact number automatically or asks to enter it manually. This information collected will be used only for the customer service and the improvement of the service quality of True Balance. So, guys don't wait!! Download and install this astonishing app. Then, all the exciting features will be your own. Hi readers!! Today I introduce best 5 android apps which gives you free recharge. As you know, we cannot live without a smartphone. While using a smartphone, we are always thinking about a burden, that is recharge. So, as said before I introduce some apps which you can perform free recharge. The top rated 5 Android free recharge apps are introduced here. Now, interested in recharging?? Definitely, you will be!! CashBoss app is the No.1 free cash app. It has more than 2 million users, which means it is very recently and frequently using app. CashBoss App gives more money comparing with others. 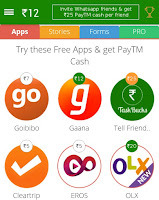 CashBoss App gives Rs.30 per referral. That is, you can earn more within a small unit of time. It's very cool. Isn't it?? Yes, it is!! Also, you can transfer your earnings into Paytm wallet. Airtel, Aircel, Idea, BSNL, Reliance , Uninor, Vodafone & TATA Docomo. ✦ It also offers guaranteed prizes in CashBoss's daily competition. So, buddies try this nice app and avail free recharge. It is another amazing app which you can earn Rs.25 Paytm cash per referral. It performs free mobile recharges and data recharges. 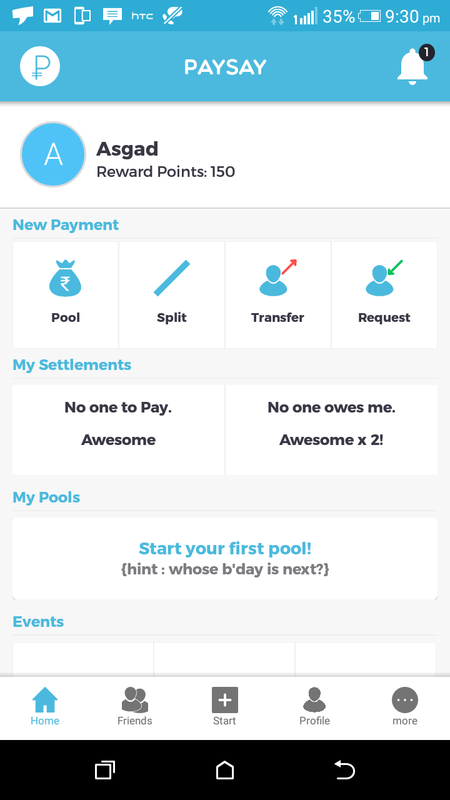 In this app, there are various sections like contests, stories, forms, offers etc. You can also earn for using pre-installed apps on your phone. It also performs free postpaid mobile bill payments and Mobikwik money. ✦ Try new websites & new apps. ✦ Use apps on your smartphone. ✦ Invite your friends and family. ✦ Participate in the daily contest. 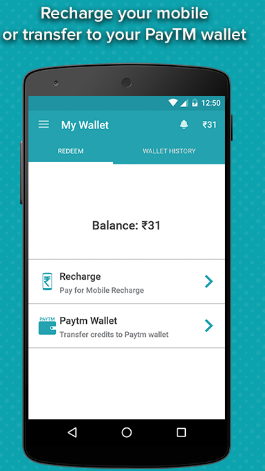 So, you can utilize this app by performing free recharge, transfer your earnings to Paytm or Mobikwik wallet. Also, can enjoy extra by participating in contests. 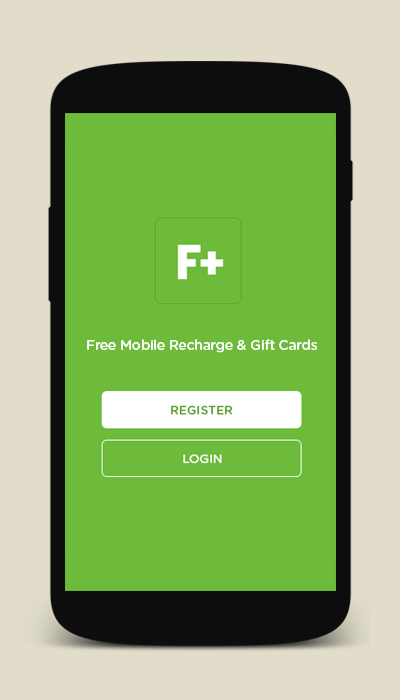 Just start enjoying this free recharge app moderately to avail unlimited earnings. 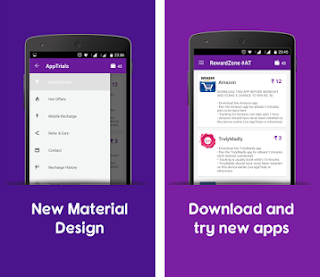 AppTrails was a free recharge app that rewarded its users just for trying new apps. 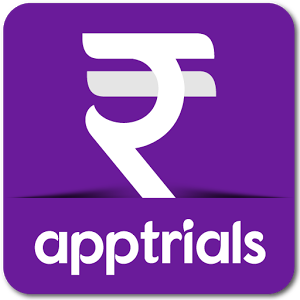 But now the developers of AppTrails introduce 'Refer & Earn' option which gives you earnings per referral. Download apps like TaskBucks, Ladoo, Grappr, Uber, Ola, Zomato & much more from their wall to boost your earnings. ✦ Converts your earnings into PayUmoney points. ✦ Instant mobile recharge by just completing offers & trying apps. ✦ For referring a friend, you can earn Rs.10. ✦ Supports almost all networks. ✦ Get latest deals & coupons. So, guys experience this awesome AppTrails App to have the free recharge. The important part is that you can easily transfer your credits to PayUmoney wallet which is it's modified feature. These points can be redeemed against foodpanda, bookmyshow, grofers and thousands of other Indian merchants just for your needs. Joy Smart Recharge App offer a curated list of the coolest new apps and deals just for you to make your app downloading experience truly enjoyable. Joy provides rewards for using promoted apps. So, just download Joy Smart Recharge App and enjoy free rewards. You can avail the rewards and redeem it for mobile recharge, DTH recharge and also through gifting your friends. You can earn Rs.10 per referral. 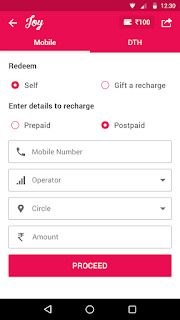 Joy Smart Recharge App supports almost all networks (they are mentioned below). ✦ DTH: Videocon d2h, Dish TV, Reliance BIG TV, SUN TV, TATA Sky. ✦ Prepaid: Airtel, BSNL, Idea, Aircel, MTNL, MTS, Reliance, TATA Docomo, Uninor, Videocon, and Vodafone. ✦ Postpaid: Reliance CDMA, Reliance GSM, Idea. 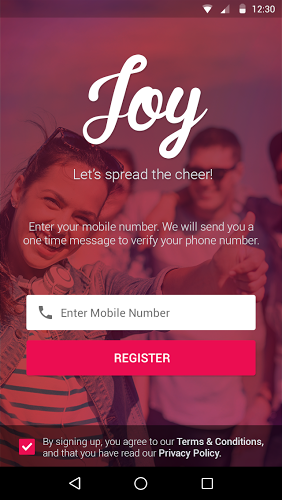 ✦ Register on Joy with your mobile number and they will present you with an exciting list of best apps and deals or coupons that you may love. ✦ Also don't forget to earn by gifting Joy App to your beloved ones. ✦ For each referral you can earn Rs.10. So, download it from Google Playstore and spread the enjoyment through it. This is another free recharge app which works fluently across India. Free+ offers an easy way to earn free mobile recharge for just checking out ads and installing best apps which suites you. With this app, you will get instant free recharge to your mobile just after completing the offers. Everyday the offers are updated. You just want to select the appropriate offers needed. ✦ Instant mobile recharges for free across. Airtel, Aircel, BSNL, MTNL, Idea, Loop Mobile, MTS, Reliance, TATA Docomo, TATA Indicom, Uninor, Videocon, Virgin Mobile & Vodafone. ✦ Earn Rs.5 per referral. So, FreePlus app is another best app to earn unlimited recharge just for free. It gives free recharge offer by just watching popup ads and downloading new applications and games. You can redeem Rs.10 which is the minimum redemption. Hi friends!! Today I introduce a simple and nice trick to avail Rs.50 Amazon gift voucher by just downloading Truecaller app. As you know, using Truecaller App you can track any numbers. That is, if you get an unknown number call you can easily find the details of that number using this fabulous app. Now, how will be it when downloading Truecaller gives Rs.50 Amazon gift voucher. Isn't it cool, right? Just follow the simple steps to grab it. ➊ Download Trucaller App from here. ➋ Install Truecaller & open it. ➌ Signup for a new account. ➍ Verify you mobile number via OTP. ➎ Now, click on Notification icon. ➏ Then, click on Amazon Voucher from icon. ➐ Then, click OK to confirm & choose action using Google Chrome browser. 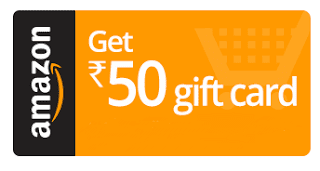 ➑ So, now you can access Amazon gift voucher immediately. To avoid delivery charges subscribe to Amazon Prime. (1) Dabur Hajmola Regular Tablet (Rs.25 each - buy 2). (2) Patanjali Almond Hair Oil, 100 ml (Rs.50 each). (3) Vim Dishwash bar, 3*200g (Rs.47 each). 1. For Amazon New Ids. 2. 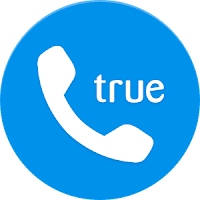 For Truecaller New Ids. 3. Some one may have created using your code with trick. So, just don't wait. Grab this offer immediately to have your Amazon gift voucher immediately. You just want to download Truecaller app which tracks any number. Hi friends!! Your most awaited Flipkart big billion day is back. As you know, Flipkart is the largest and most trusted online shopping website. From Flipkart we can have somany offers daily. Today I introduce a best offer: Big billion day. They introduced this offer before. Behalf of that successfull day they are again planning this fabulous offer exclusively for their customers. So, don't wait for it. Just go through it. Don't forget about the date: October 2nd to 6th. Flipkart is trying to make more offers and discounts on this big billion day. Excited right? Just wait for October 2nd. One major thing to be noted is that, this big deal can only available for the Flipkart app users. So, upgrade your Flipkart App now. 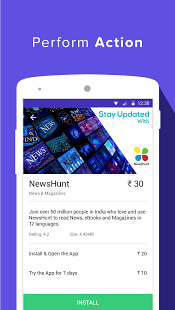 You can download the newest version of Flipkart from the below link. 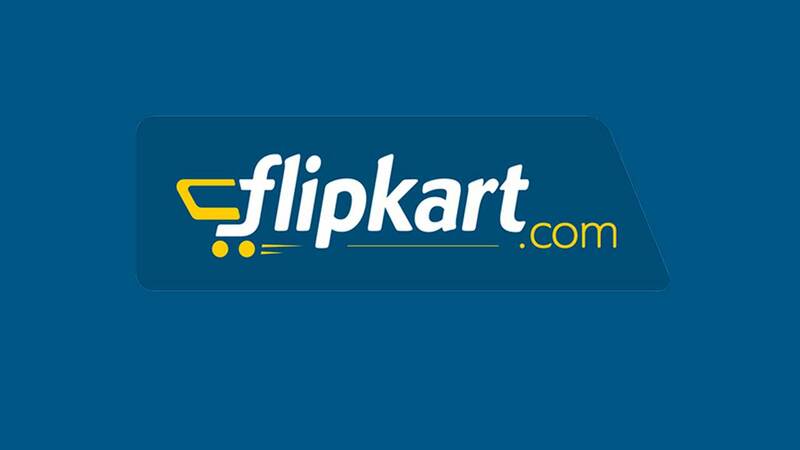 Grab your products from Flipkart big billion day and enjoy your discounts. ✰ Another happy news for SBI customers. SBI customers can have extra 10% discount on their each transactions for their beloved products. ❒ 2nd October : Fashion & Lifestyle. ❒ 3rd October : Home & Appliances. ❒ 4th October : Mobile & Accessories. ❒ 5th October : Electronics & Automotive. ❒ 6th October : Books & Others. ➀ Click here to download or upgrade to newest version of Flipkart App. ➁ Install & open the new Flipkart App. ➂ Sign up for a new account on Flipkart. ➃ It's done!! 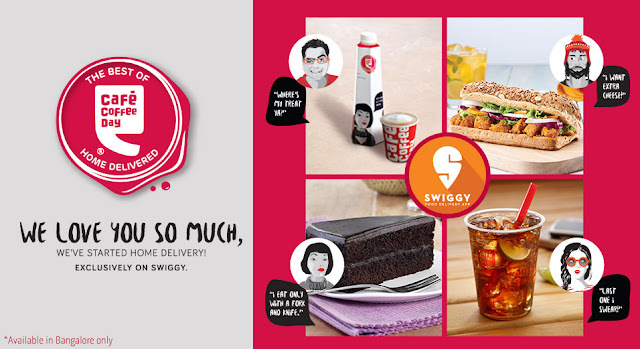 Now, have your cool products on the big billion day. So, I introduced to have the big deals and discounts on the Flipkart Big Billion Day. Using the above steps you can have the maximum chance of availing products. But not cent percentage. Because of the huge rush on the day. So, wait for those days and grab your lovely products in exciting and huge discounts. Hi, friends!! 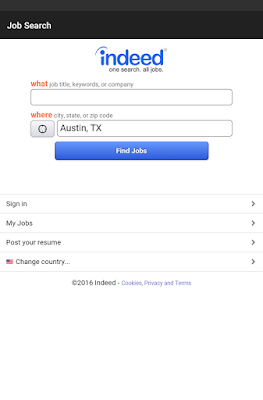 Today I'm going to introduce a world's No.1 job search app: Indeed Job Search. Are you a daily looking for newspaper, magazines, ads, etc for jobs? Definitely, this article will help you. Indeed Job Search helps you to find the job which suits you more. It is the most comprehensive search engine for jobs. 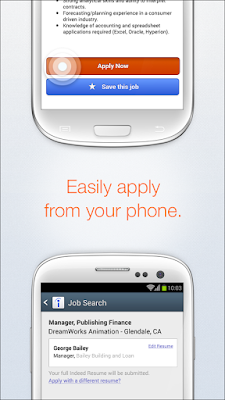 Indeed Job Search offers free access to millions of jobs from thousands of company websites and job abroad. So, using this fabulous app you can search your job from anywhere, anytime. You can also narrow the results for specific geographical regions, salary expectations or type of employment (full-time, part-time, etc.). 180 million job seeker uses this fantastic app. Through this app, you can find jobs in over 60 countries and 28 languages. Also, you have the chance for 16 million jobs. Can you believe this? Yes, you should!! ✯ Simple, fast-loading job search. ✯ Save or email your favourite jobs. ✯ Create a free indeed account. ✯ Find openings in cities near you using your device's GPS. ✯ Search by job title, part-time, contract, freelance, and internship jobs. ✯ Create, upload or import a resume. ✯ Personalize a message for each job before applying. ✯ Follow favourite companies to get the latest jobs and news. ✯ View new jobs added since your last search and be the first to apply. ✯ Find your dream job by selecting job title, company & location. 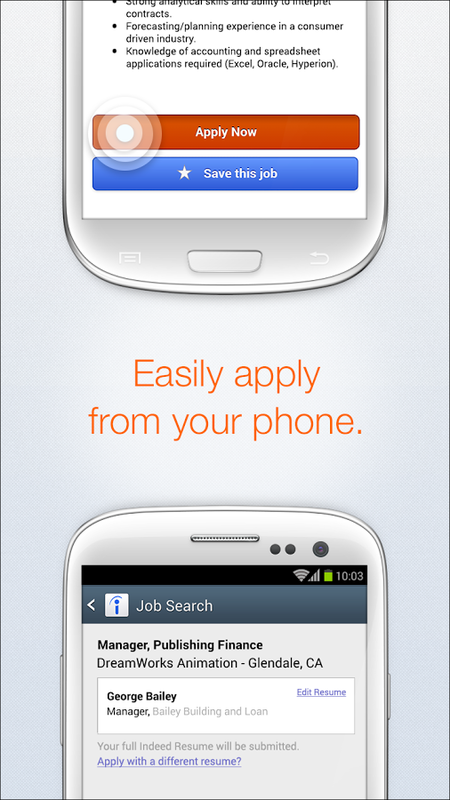 ➨ Download Indeed Job Search App from here. Still Indeed Job Search App not installed? What are you waiting for? If you wish to have a good job, you should definitely download it. You can also personalize through this app. Using Indeed Job Search App see photos of where you work and all. Cool, right? Yes, it is, likewise, its features are charming. 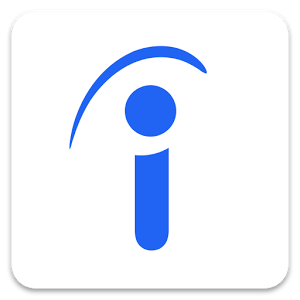 Just download Indeed Job Search App and start searching best jobs. Best wishes!! Android has brought a dramatic change to the tech-world. Google just turned things around by introducing amazing GUI, media experience and above all, a whole new mobile phone experience. 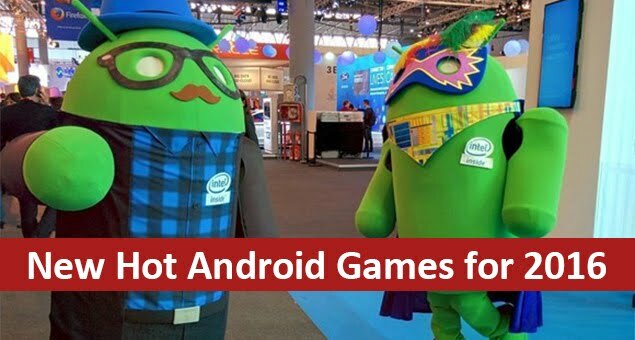 Android games have also shifted the gear in 2016. A lot of new games was introduced to the platform by several game legends as well as newbies. Most of them were big hits and some of them are still running on those smartphones. Interesting thing is that high-end graphic games didn’t satisfy the users as expected. But Games with a simple interface and low details and comparatively small theme impressed everyone more than expected. Today let us see 5 such games which still are fan favorite. As a gamer, everyone must be familiar with the Counterstrike, the multiplayer shooting game we all used to play, especially during the exam time. Well, someone got the better of it and introduced a mobile alternative for it. The Mini Militia is a game that promises high-level shooting experience in your handset with low-level hardware specifications. 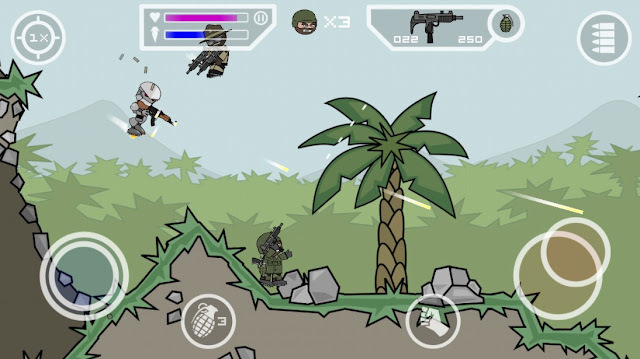 The Game a use a 2D interface with a plane perspective view to present 6 players online and local multiplayer shooting experience by Wi-Fi connectivity. There are an offline Training and Survival mode in which you can train and try your new skills. Users can create their own custom avatars with the available kits. Apart from shooting, gamers can use hand grenades as well as their hands to eliminate enemies. The main feature that differentiates mini militia from other shooting game is that it provides a nitro booster that allows players to fly in the air and have a bullet shower in the air. The game provides different maps to play on, each with particular features and unique properties. The game was accepted by the public within a quick period of time and now itself it is being played by groups of young boys and girls as well as adults. 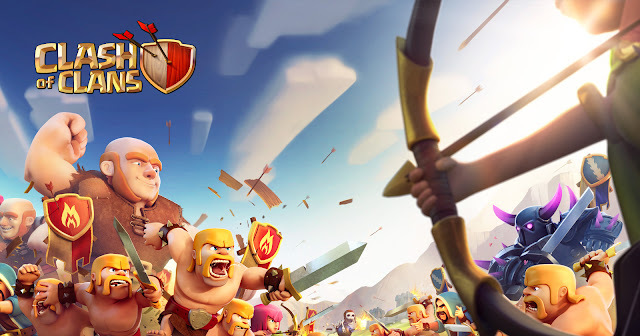 Clash of Clans already hit hard into the market in the earlier months of this year and it is still consuming internal space of several smartphones. The game is not acceptable for everyone and also not in a first look. But it will conquer your mind gradually and when it gets a grip, it will never let you get bored. IT is a 2D strategy game that lets you build your own kingdom with several features like Gold and Elixir mines, defense mechanisms as well as attacking utilities and so on. The game consists of two phases, defending their own kingdom and conquering other’s kingdom. Defending one’s kingdom requires hours of planning to include walls, cannons, bombs and more to kill those attackers. Attacking and conquering another kingdom also requires planning of equal importance. Creating and training army troops to make them powerful enough to execute attacks is the main job of the gamer as an attacker. Users can unlock several high-grade warriors who got great powers by upgrading barracks. This is done through the 4 tier troop system. And mainly, beware of those little green colored goblins that come to loot your gold and elixir. Given below are the key features of the game. As a child, the main dream of most of us was having a Pikachu on our shoulder just like Ash. Everyone knows Ash, that boy with a cool hat, traveling around the world winning poke battles with his best friends Mia and Broke. 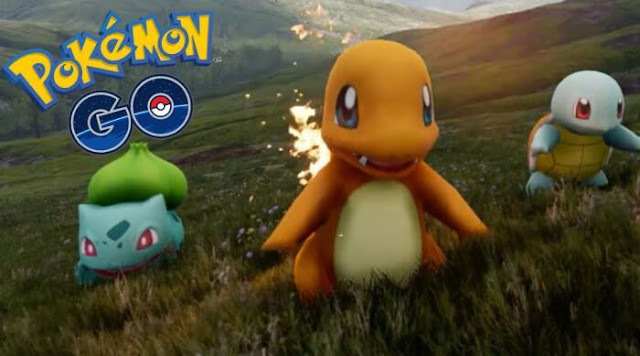 Recently, Niantic introduced a smartphone game for those who want to live their childhood dream as a Pokémon trainer. The Pokémon go is viral on the internet now as it gives a real life experience of Poke-mania by the whole new augmented reality feature. Users can wander around to capture Pokémon’s, have battles with other trainers and attend Pokémon contests just as if in a Pokémon cartoon. In short, you can live your life as your childhood heroes. The game requires a full-time internet connection and GPS capability. Pokémon’s might appear anywhere in the earth and can only see through the game screen. Users can also access Pokeshops to get Pokémon accessories for free as well as paid. FIFA is the only name comes to our mind when it comes to a football game. But when it comes to smartphones, FIFA failed to provide that amazing gaming experience which was available with PC. But the new Dream League Soccer gives us a whole new smartphone soccer experience. The game provides similar controllers just like in FIFA but provides a smooth interface. Users can customize the control scheme as their comfort. Almost all features available in any soccer game are available in Dream League Soccer, but the advantage is the game is more smartphone friendly than others. Real life soccer experience is provided by letting players customize players, use custom statics, create custom teams and tournaments and much more. The main feature of the game is that it got comparatively high-end graphics with real life faces and action of players. The game uses real names and appearances of the football world to provide a smart gaming experience. Special keys are dedicated to doing those mind blowing skills on the field. Users can improve their talent by playing the practice mode. They can also connect with their friends to play multiplayer games. Let us talk about Casino. Well, this is not a single game. This is a collection of games. 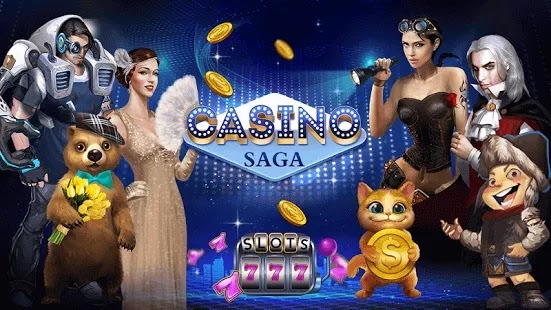 The Casino Saga packs several casino games such as Macau slot games, old Vegas classic, Blackjack 21 online, Roulette free, Crapss free, Sic Bo, Baccarat, Texas Hold’em Poker and so on. In short, the game works as a casino slot machine valley. Users can literally walk around the casino valley to try each board and casino games to try their lucks as well mathematic calculation abilities. The only difference is, all these things happen inside your smartphone. The game provides several daily, weekly and monthly bonuses as well as several undeniable offers. One of the main advantages of this game is, users doesn’t have to open each game apps to try their luck. Instead, the whole package is included in a single virtual casino world. Are you excited? Want to try more such a games? You can also play the best casino games at casino.com. A real casino world experience is set up inside the app to provide the users with popular machine scenes like PCH, Wizard, China Town, Pirate etc. The game pack includes Texas Hold'em Poker: cash game, Sit n Go, MTT Tournaments as well as several free slot machine tournaments daily. Users can slip into the world of lucky money anytime, anywhere and from any device.